The AMC all-in-one card reader not only gives you fast, easy transfer of data between your flash media and computer, but between different kids of flash media, as well. 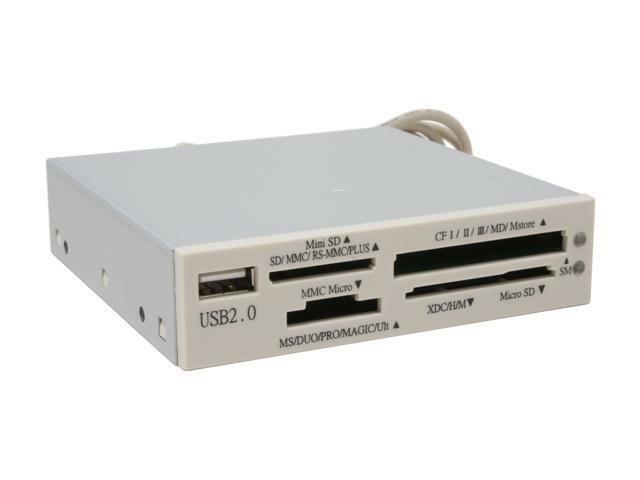 The 4-slot reader is designed for easy installation in a 3.5" drive bay on your desktop computer, and gives you an extra USB 2.0 slot on the front of your computer. The unit reads Compact Flash, Secure Digital, Multi-Media Card, SmartMedia, xD, miniSD, and RS-MMC media, and Sony Memory Stick media, and more. Please see specifications section for additional compatible media types. IT supports slot-to slot read/write functions, as well, so you don't need to upload to the computer before downloading to a second media card. Compatible with Windows ME, 2000, and XP, and MAC OS X (v. 10.2) and higher. 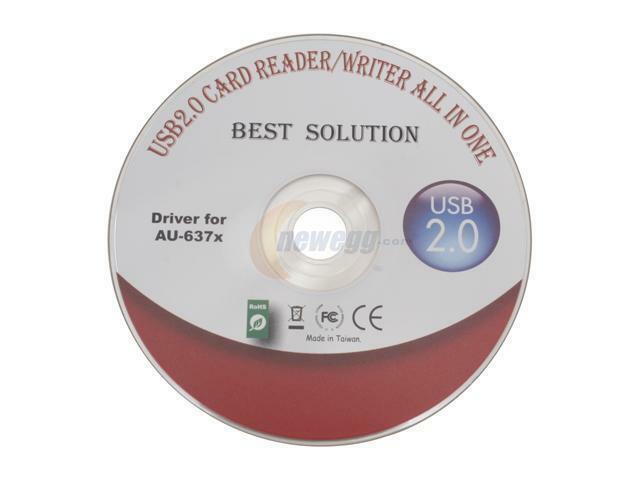 Drivers are available for use with Windows 98 and 2000, and Mac OS 9. With AMC’s all-in-one card reader, you won’t have to hassle with adapters for any of your media cards, and you’ll get fast, easy transfers every time! Compatibility CF Slot : CF I, CF II, IBM Microdrive, Magic Store. SM Slot: SM, XD, XD-H, XD-M, Micro-SD MS Slot: MS, MS Duo, MS PRO, MS PRO Duo, MS PRO HS, MS PRO Duo HS, MMC Micro.. SD Slot : SD, SD1.1, SD2.0, SDHC, Mini SD, MMC, RS-MMC, MMC Plus, RS-MMC4.0.